During Quilt Market, I had the opportunity to meet up with Amanda, the Owner & Creator of Stash Builder Box. I am absolutely in love with their cause, and the fact that it is completely based on fabric and sewing has me even farther head-over-heels! I was sent this box free of charge, but all opinions are my own. So, what is Stash Builder Box? 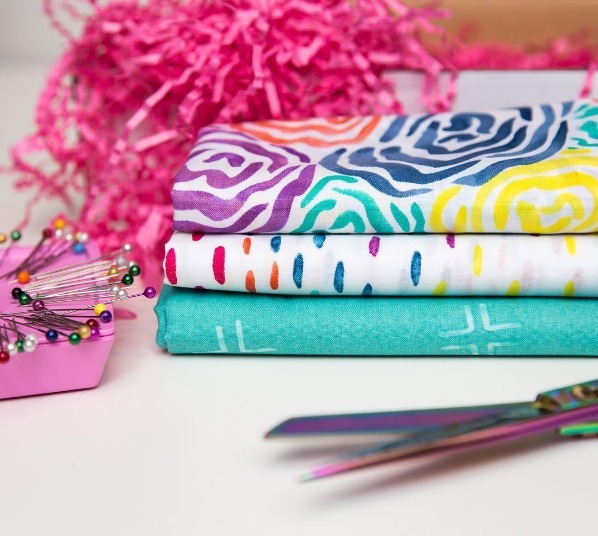 It's a monthly subscription that gets you a box full of sewing goodies sent right to your mailbox. 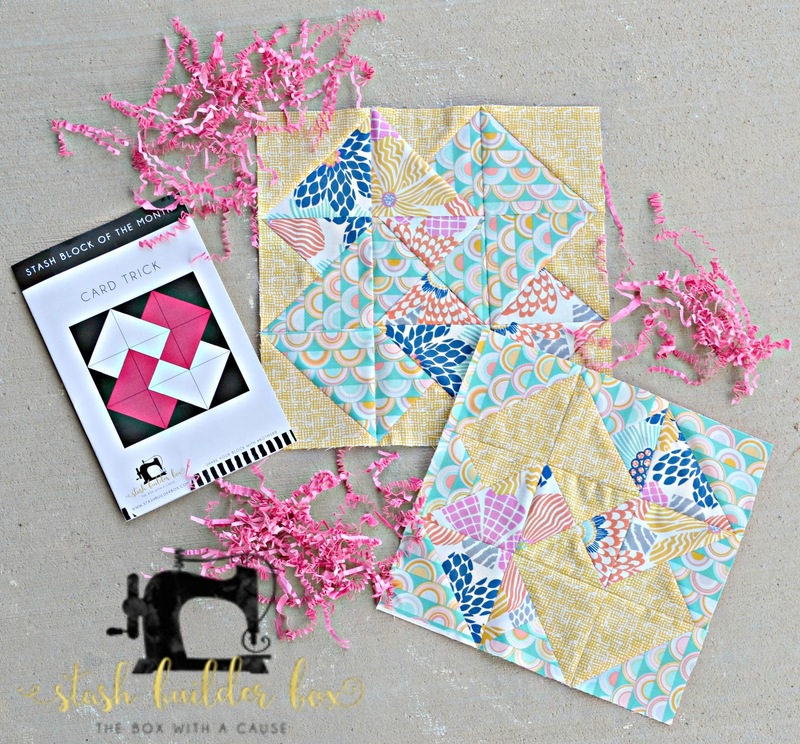 Each months box is a little different with 3 fun fat-quarters, matching Aurifil thread, an exclusive box pattern and some mystery sewing related goodies. 20% of each box purchase goes to help make quilts for children in need which I think is just awesome. 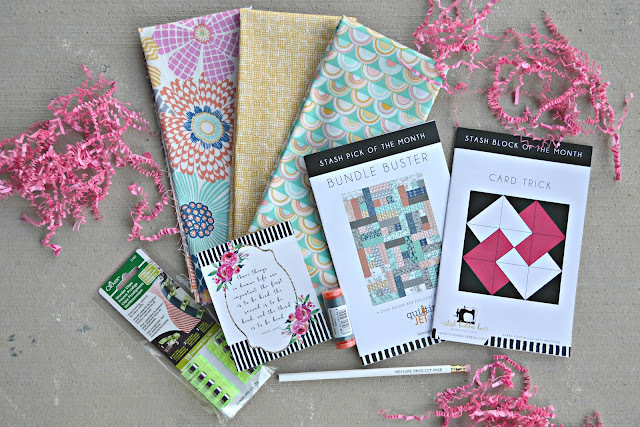 I was sent August's Stash Builder Box (which is no longer available). 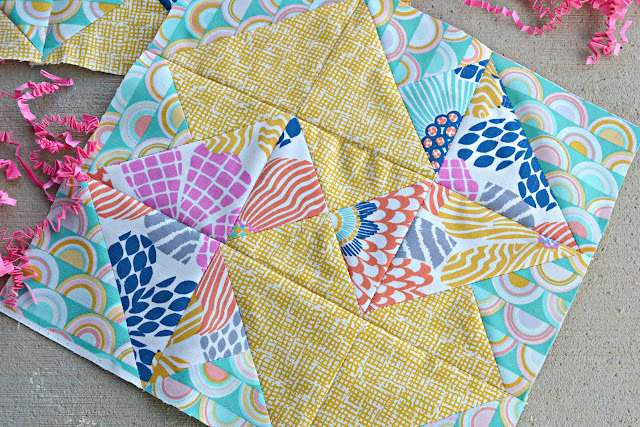 It included three fat-quarters from Dear Stella's June Bug Line. The fabrics are so pretty! I can't wait to see a full quilt made with the Pattern block of the month from this fabric! Two patterns came in this box. 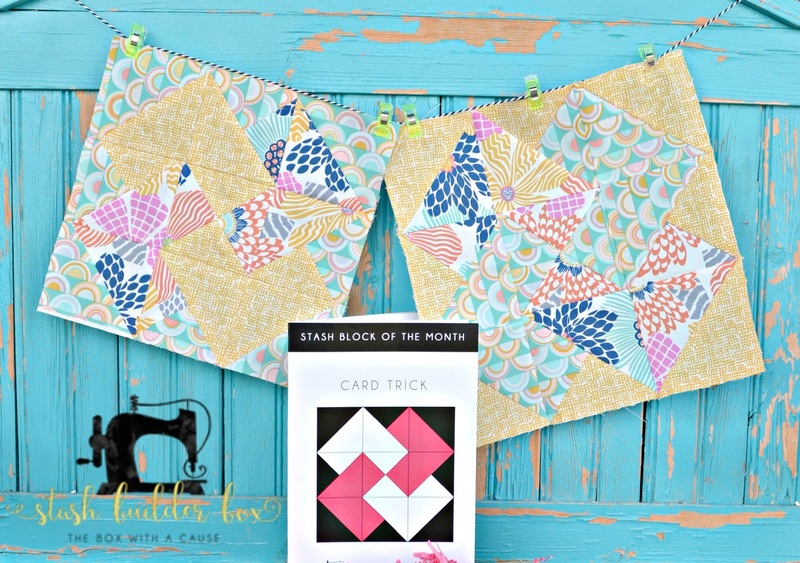 One is the Card Trick pattern, which is the Stash Block of the month. The other is for a whole quilt. 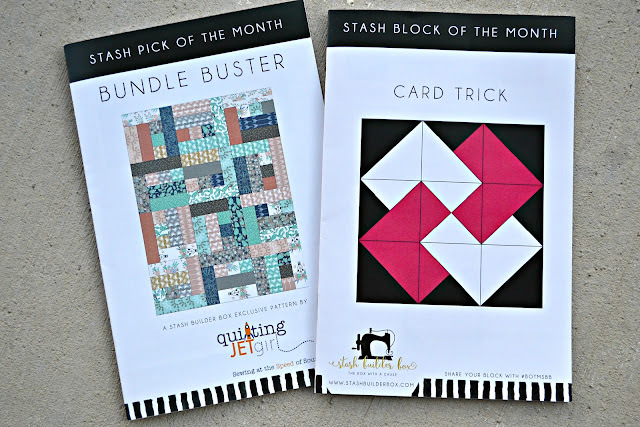 I chose to just cut out the Card Trick square for this post, but I can't wait to make a quilt with the Bundle Buster pattern! The box also came with Grey Aurifil Thread to match the fabric, a pencil with a sewing saying on it, a cute little quote to frame and put in my sewing room, and then lastly, Wonderclips! 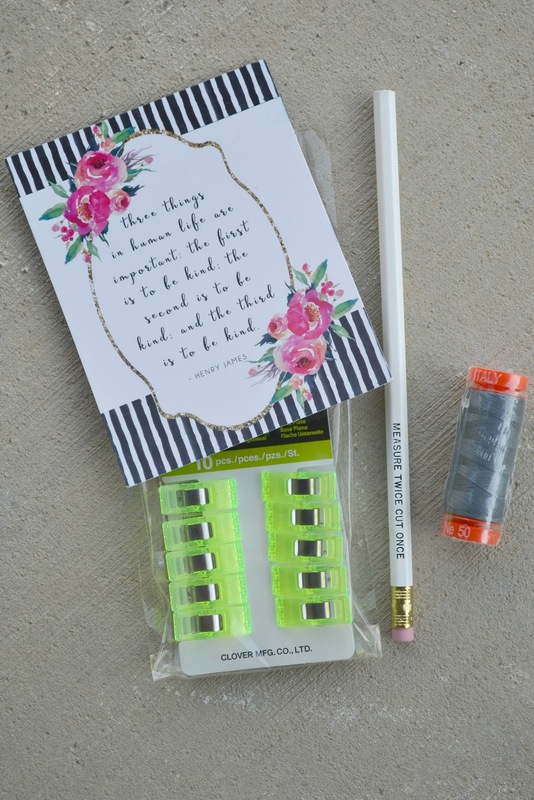 I've heard all the ravings about wonderclips but I've never used them before, so I was ecstatic! The biggest thing I love about this box is it's cause. I really love being part of communities that give back and I loved reading about Stash Builders first Donation Mission to Fiji. It's something I am very eager to participate in and there are plenty of ways to be a part of it. Although I would love to, at this point in my life I don't have time to make a full quilt, but you are able to send in quilt squares that their Heart Builders team uses to make into quilts. It makes my heart happy just thinking about it! 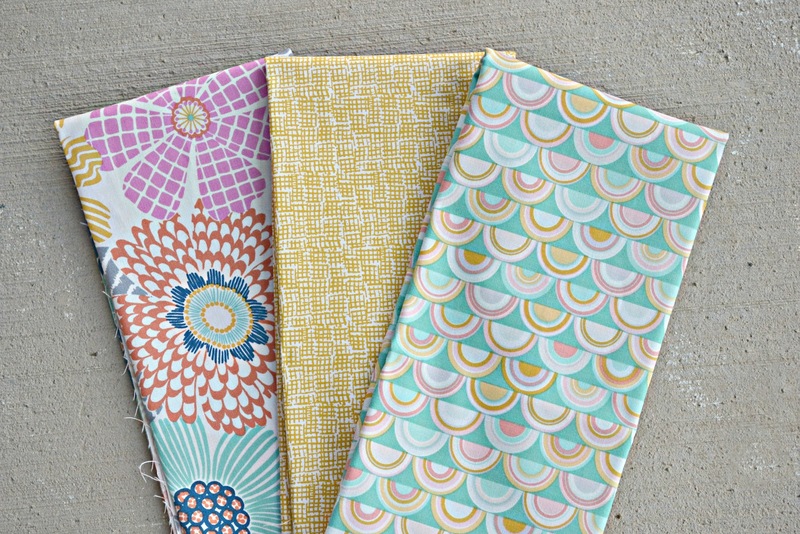 So now that I've gotten you all excited about Augusts box, lets show you Septembers winning fabric! Isn't that Cloud 9 Brushstrokes fabric gorgeous? The boxes are $23.99 a month and you can sign up for either a monthly subscription, 3 month, 6 month or 12 month. You can follow Stash Builder Box on Instagram and see all the fun things they're up to along with learn all about their Selvage Challenge going on right now through Sept. 25th. 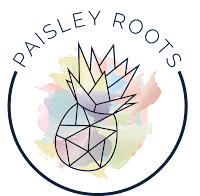 You can also follow their blog to hear more about their mission donations along with monthly tutorials on block patterns! I really can't wait to see all the extra goodies and patterns that will come in Septembers box! soooo cute!!! love those blocks!